El Dorado tires offer performance, engineering, value and quality. If you are looking for a new set of tires for your vehicle, chances are that El Dorado tires has an option that will meet your needs. Here at Country Town Tire & Auto Service Center, we are proud to offer El Dorado tires as one of our many options of tires to our customers. El Dorado Tires was founded in 1966 and has maintained their commitment to performance, engineering, value and quality throughout all the decades since. 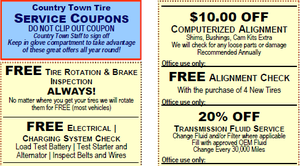 Warranty: Some of the tires from El Dorado have a treadwear warranty of as much as 80,000 miles. That means you won’t need to buy many sets of tires while you own your vehicle. Engineering: Tires are constantly being improved, and El Dorado tires are no exception. Engineering improvements like asymmetrical tread patterns on some tires reduces wear and improves quiet performance of the tires. 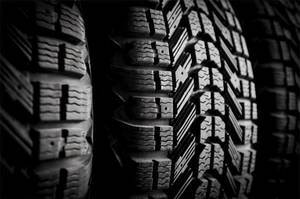 Options for everyone: Whether you are looking for on-road options or off-road options, winter tires with superior snow and ice traction or tires for unique vehicle types like recreational and utility vehicles, you can count on El Dorado to meet your needs. We are dedicated to serving the needs of our customers in the area around Hickory, North Carolina. Give us a call today to learn more or use our customer-friendly website to find new tires, schedule tire installation or other services.